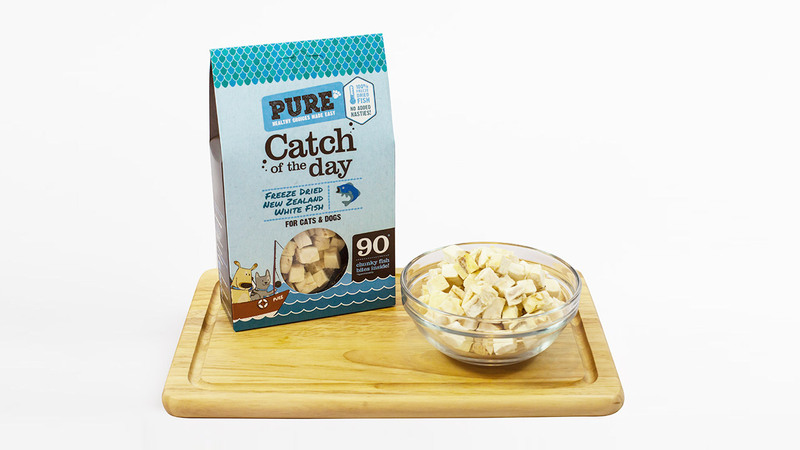 We are proud to have collaborated with PURE Pet Food in all aspects of their branding and design since they launched their unique dehydrated and freeze-dried pet food over 5 years ago. Our team of designers have developed the branding, packaging, brand collateral and even their custom-made website. 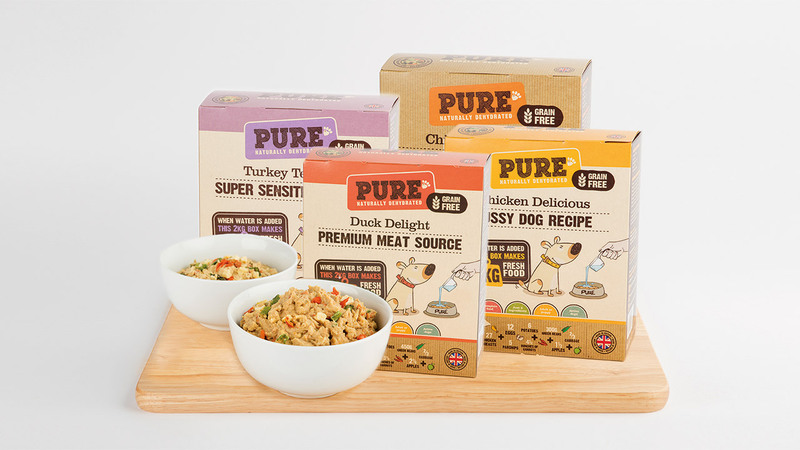 Ensuring the fundamental values of PURE Pet Food are portrayed coherently across all aspects of their design is always at the forefront of our designers’ minds as we work with the strong brand identity and quirky illustrative style. After perfecting the PURE logo and style, we set about creating packaging and digital media which maintained a close tie to the brand we had established. 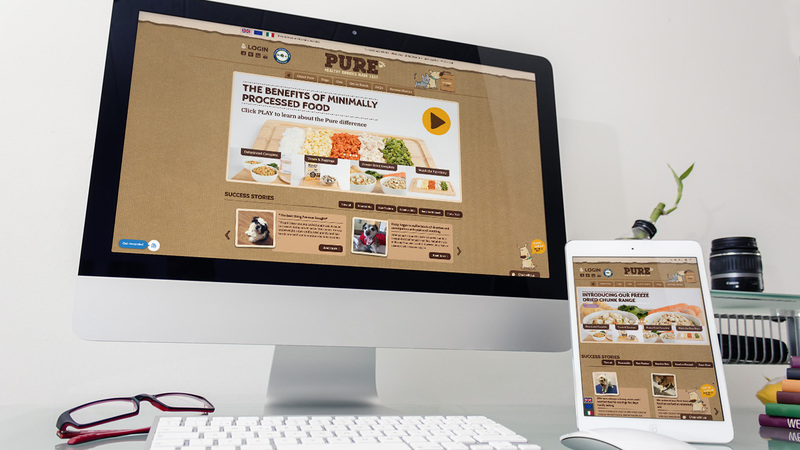 The custom-built website encompasses the natural elements brought forward from the branding and is combined with the distinctive illustrative style from the packaging to create a clear, visually appealing website. As always, we ensured a responsive design across all devices to create an accessible and modern website. 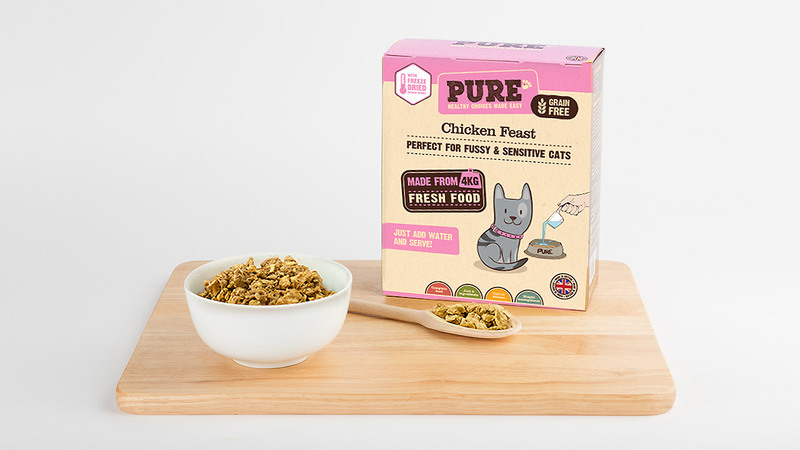 When we were approached by PURE to assist in creating a new branch of their pet food for cats, we carefully applied the existing brand we had created to the new packaging and collateral – the result? Some positively adorable cat illustrations that complement the existing illustration suite and colour pallets, along with coherent packaging that stands out. We love nothing more than to build strong relationships with brands such as PURE and we take great pride in collaborating with companies big and small to create end products that not only look great, but simply work.